Red ball classes are for children ages 7 and below. 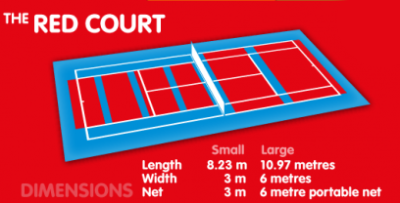 The children will play on a smaller court (doubles line to doubles line) with shorter racquets and softer balls. This program will focus on teaching the players to cooperate in pairs and small groups which will help set the foundation for developing the rally skills necessary to excel in tennis at a later age. Children will also learn basic technical skills such as groundstrokes, volleys and serves. Orange Ball Classes are for children between the ages of 7 - 9. 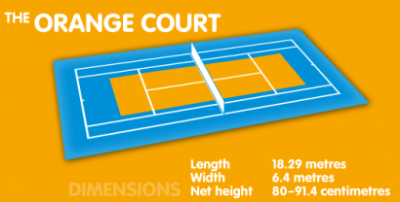 The children will play on a court roughly 75% the size of a regular tennis court and use modified racquets and balls. This program will build on the rally skills developed in the Red Ball Program while transitioning the children to a larger court. There will be a larger focus on technical development such as the introduction of spin to all strokes. The core focus of this program will be the 7 Elements of coordination; reaction, disassociation, balance, rhythm, differentiation, orientation and dexterity. We also emphasize skills such as fundamental movements, strength and conditioning, speed and agility. Email marc@thetennisacademy.ca for more details! The Green Ball Class is the final stage of the Progressive Tennis Program and is for children between the ages of 8 - 10. 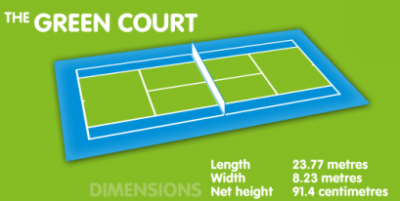 Children play on the full sized tennis court but use modified balls that have 85 – 90% the compression of regular tennis balls. This means that the balls are a little less lively than regular tennis balls. The focus of this program is to solidify the technique and tactics developed in the Red and Orange Ball Programs and prepare the children to transition to full court tennis. 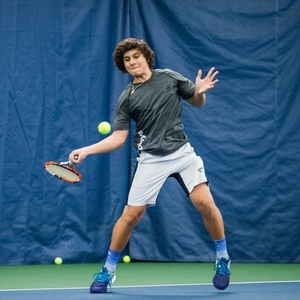 The Tennis Academy Teen Tennis Programs are for juniors over the age of 10 who are ready to play full court tennis with a regular tennis ball but who may not be interested in competing in provincial tournaments. Participants in these programs will learn the necessary techniques and tactics to feel comfortable to play a game of singles or doubles with a friend or their parents. The Tennis Academy competitive program is designed to be in line with Tennis Canada’s Long Term Athlete Develop model or LTAD. Our mission is to help juniors train towards the goal of receiving a tennis scholarship to a university in the United States or to start a career on the men’s or women’s professional tour. Players wishing to join these programs must receive approval from Marc Colangeli and Jeff Spiers before enrolling. Leadership provided by Tennis Director Jeff Spiers: Tennis Alberta’s only Level 4 Coach, former National Coach for Canada, 22 time Provincial Champion for Alberta and former All-American for the University of Colorado and High Performance Director Marc Colangeli: Level 3 Coach and Provincial Coach for Alberta. Annual international trips planned to allow our athletes to gain valuable experience against some of the top players in the world. Individualized annual plans for each athlete with a private coach. 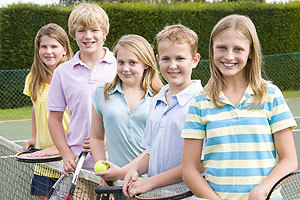 ​The Tennis Academy U12 Competitive Program is for juniors between the ages of 8-12 years old. This program introduces juniors to competitive tennis training and to provincially sanctioned tennis tournaments. 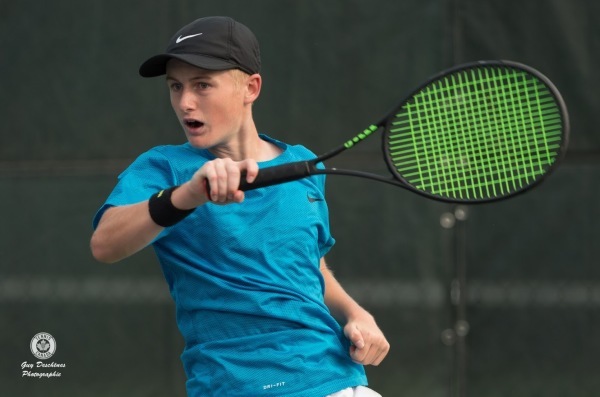 The Tennis Academy Provincial Program is designed for juniors who wish to play tournaments throughout Alberta and would like to achieve a provincial ranking. 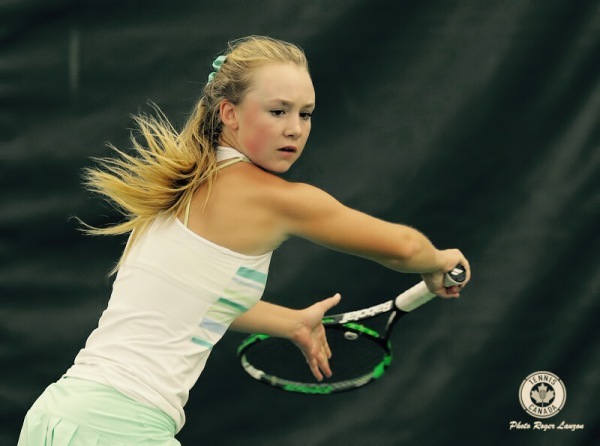 The Tennis Academy National Program is for juniors who have a desire to be one of the top players in Canada. Participants in this program will receive the necessary technical, tactical, physical and psychological training to compete at a national level. Online registration is not available for this program. Please contact marc@thetennisacademy.ca for inquiries.